OSR Christmas 2014 - More is More Better - Santa is Gonna Need a Second Bag of Holding - Interdimensional Space is Bursting! Holy crap! You don't realize how many email addresses you have until you start missing things. Santa's OSR Gift Bag is bursting at the seams. We'll need to upgrade his Bag of Holding. I've got more to add to the list of donated goodies, but before I do, I want to give an overview on how this should work. No guarantees about the time table - I've already been told Dec 1st thru 3rd is "no excusals" at work along with the possibility to mobilized for potential protests. So, what follows is "the plan". The plan may or may not work out. We'll see. 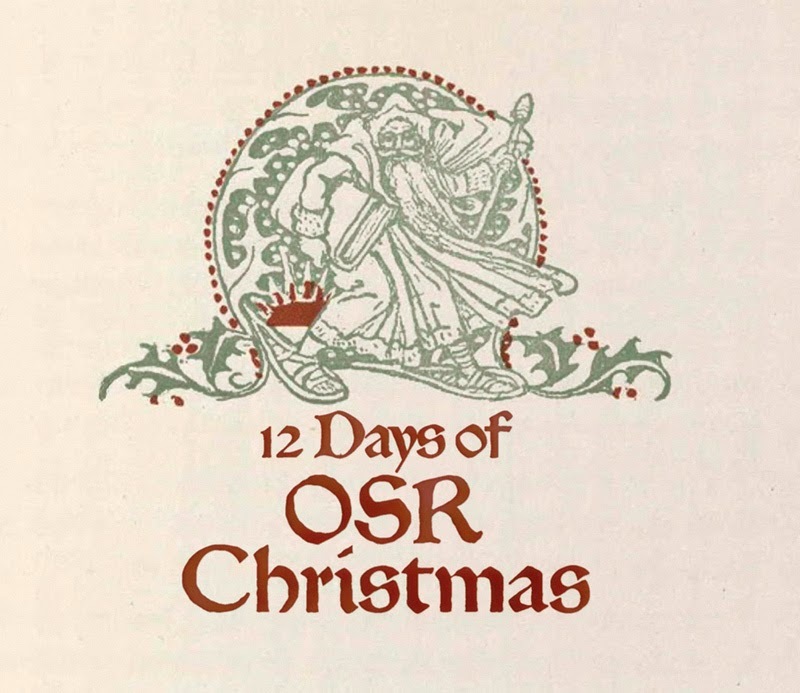 Starting December 1st and following every other day in December, there will be an OSR Christmas Post. Each post will be labeled in some vague way to hint at the gifts up for grabs and will state wether the gifts are international or US only. PDF gifts are international and many of the donators of physical products are willing to ship internationally (if you don't already realize, international shipping outside of the states is akin to highway robbery these days.) A post may mix PDF and physical gifts, but it is either all or nothing when it comes to international availability - I won't be mixing PDFs and US only shipping on a given post. When the post goes up you'll have at least 24 hours to add a comment and put yourself into the mix. Only one comment per post please. Post may go up early in the morning, mid afternoon, in the evening - it will vary. In any case, they will be open for comments for at least 24 hrs. The post will be closed to new comments when I make the announcement on the post. Sometime shortly thereafter, a post will go up listing the lucky gift recipients. Apparently the email from OneBookShelf arrived at 1141 this morning - I just read it. You would think they would send an email out to affiliates and reviewers the night before to give folks a heads up on upcoming sales. But where's my OSR goodness you might say? Thick Skull Adventure's PDF DCC RPG modules are 40% off, meaning they are on sale for $2.99 each. Far West has proceeded to jump the Sharka. 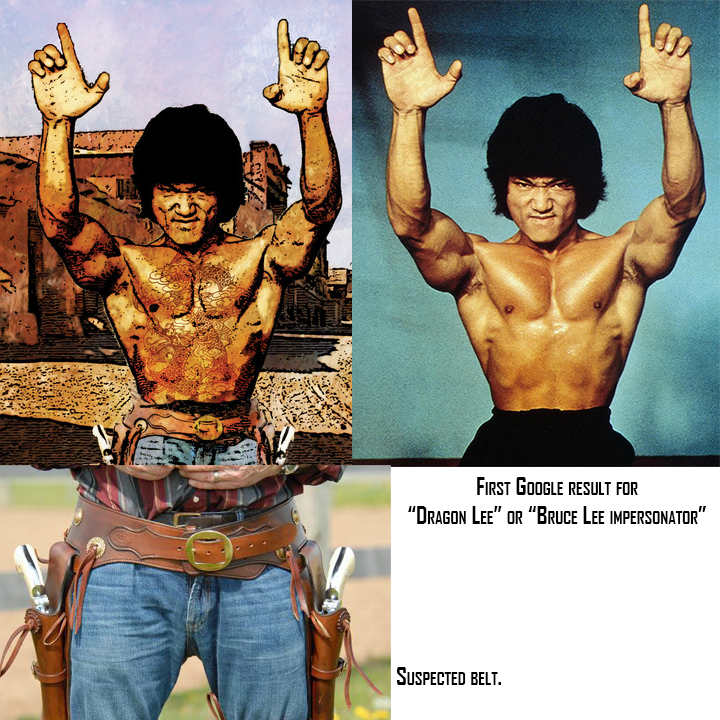 Yes, you can preprder the PDF of Far West, the Kickstarted RPG that will only be 3 years late in December of 2014. I feel a need to mention a year, because the page for the PDF mentions a December release but no year. That's probably wise, as it's missed three Decembers already. 2015 anyone? The preorder is $24.95 for the PDF. Just think, if you had backed the Kickstarter three years ago, it would have only cost you $10 to hold the same nothing in your hand. Now, why anyone would preorder a PDF is beyond me. Why anyone would preorder a PDF of a Kickstarter 3 years late requires a whole new level of consciousness that escapes me. Add a 25 dollar price tag and lead balloons have a better chance of floating to the moon than this preorder has of raising cash. Did I mention that this overdue Kickstarter and some other overdue RPG Kickstarter are exchanging free PDFs with their backers. I hope you like vaping, because you've now doubled your vaporware. Before anyone accuses me of being too negative, the cover looks awesome. 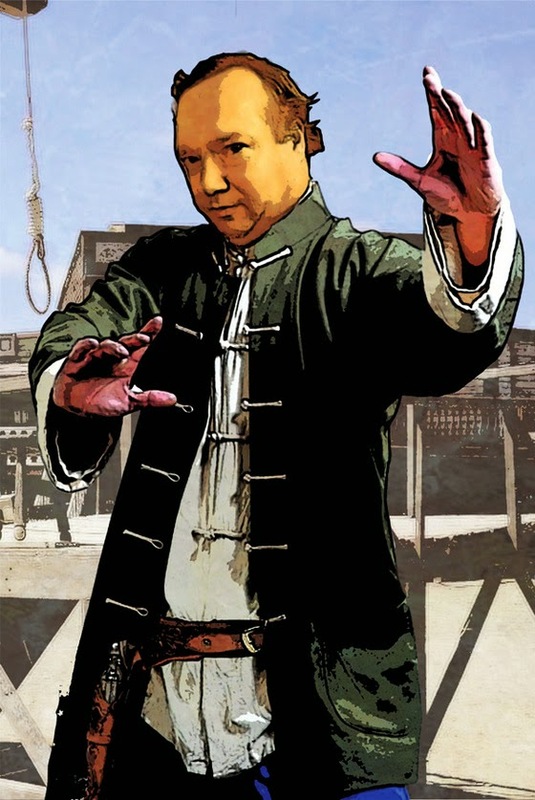 Shame the same can't be said for the bulk of the backer portraits, but this is the type of art I was backing for. This is what brought me into the Kickstarter. Shame it's turned into a nightmare for the backers and Sharka. Black Friday brings you 40-70% OFF All Titles! Winter has crowned the northern hemisphere like a frost giant's rage! The snow is falling thick and fast and the wind blowing cold. Time to light a fire, hunker down and plunge into the worm hole with Castles & Crusades with these Black Friday sales! To help you do it, we're kicking the doors to the Troll Dens wide open. From now until the 5th of December all DIGITAL titles are marked down from 40-70%! RPGNow! Drivethru RPG! Deep Discounts to help you through the winter! Black Friday brings you 40-70% OFF All Titles! 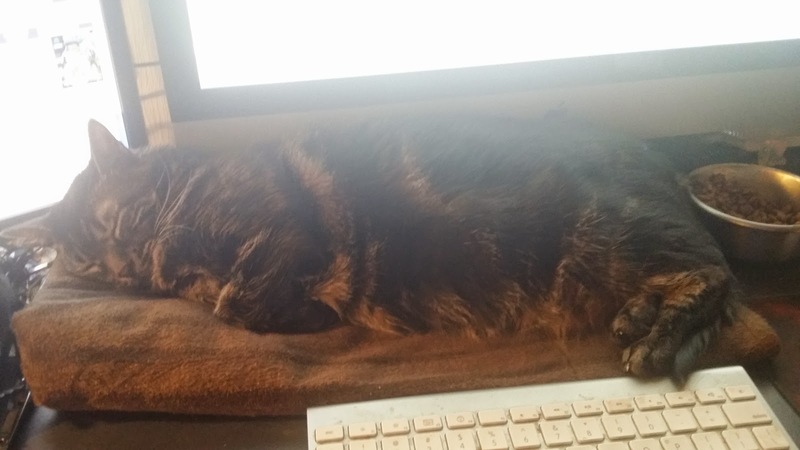 Now that you have glutted yourselves on the dead flesh of meleagris gallopavo, and gorged your entrails with winter squash confections, it is time to get back to work. Tomorrow is the day upon which my most iniquitous magics must be fueled: BLACK FRIDAY. Your life energy shall not be drained without reward! Peruse this incorporeal tome of wondrous items at marvelous prices and choose your guerdon based upon the amount of elan vital you send. 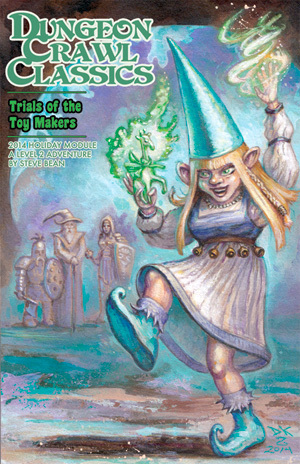 Dungeon Crawl Classics: Trials of the Toy Makers, the 2014 holiday module by Steve Bean. 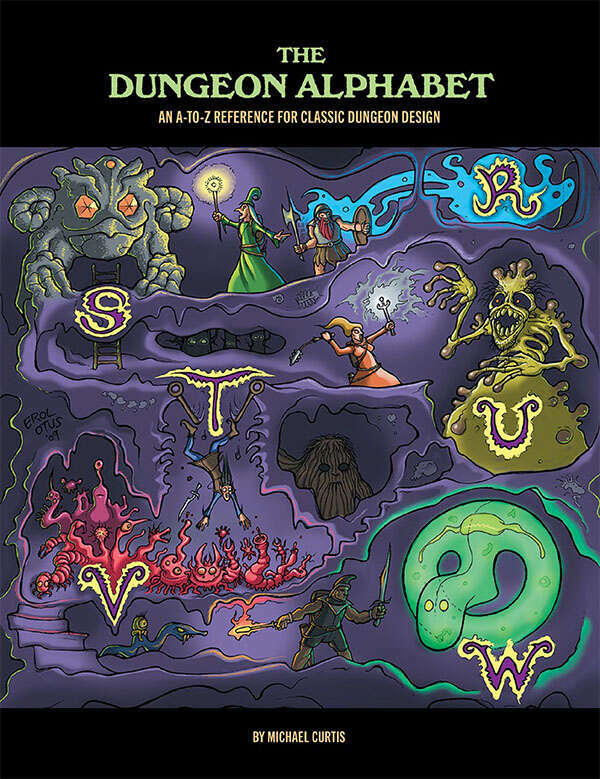 50% savings on special foil-cover editions of DCC #78: Fate's Fell Hand, DCC #71: The 13th Skull, and The Dungeon Alphabet. The digest-sized second printing of DCC #67: Sailors on the Starless Sea, featuring a 4-page expansion of Area H: the Summoning Pits. And the digest-sized reprint of DCC #35A: Halls of the Minotaur, Harley Stroh's first 0-level adventure for the 3.5 rules set, originally published as part of the Aereth campaign setting and never before available separately! VERY LIMITED scratch-and-dent supplies of DCC #35: Gazetteer of the Known Realms and DCC #51: Castle Whiterock. Up to 70% off PDF versions of modules. Yep, Purple Duck has put it's DCC RPG releases (and Pathfinder if you are of that mind) releases on sale at 40% off in PDF. The DCC RPG releases are damn good. 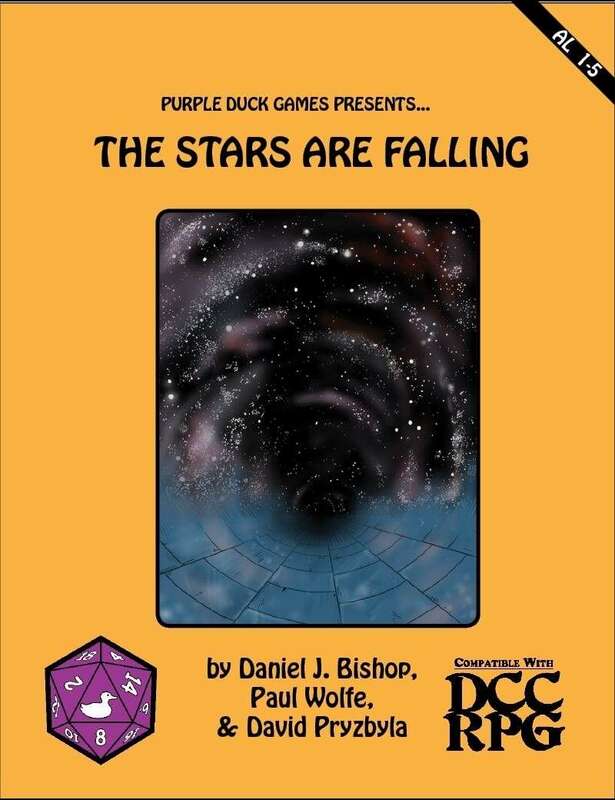 I'd recommend AL 1-5 - The Stars are Falling (5 low level DCC Adventures) for a mere $7.79 as a good place to start. I do like some of the "indie" games out there and the current Bundle of Holding has some good picks. I was a backer of the Lords of Gossamer and Shadow Kickstarter and I'm very happy how it turned out. It is in many ways the spiritual successor of Amber Diceless (an amazing game that requires a strong GM). I'm looking forward to playing some LoG&S in the future. Rocket Age intrigues me. I've got the last couple of Quick Starts from the Free RPG Days and I can see myself playing this in some short story arcs. Uresia I know little about. It''s a systemless setting of apparent strangness. 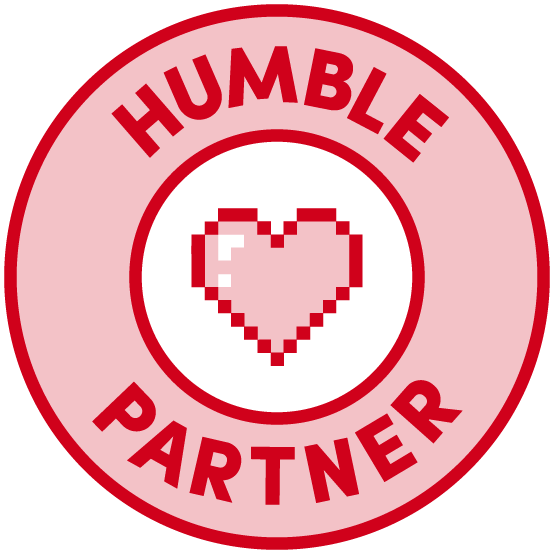 As for the "beat the average" extras, Torchbearer is another Kickstarter I backer. Beautiful book, no idea if I'll ever play it. Chuubo's Marvelous Wish-Granting Engine and Nobilis 3E: The Essentials I know no more about than what's stated on the Bundle of Holding page. 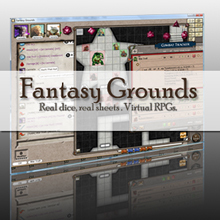 Check out the 180+ sale items available for Fantasy Grounds. Most items are now 10-25% off through December 2nd on the Fantasy Grounds Store and on Steam. Check out all the maps, adventures, token packs or core licenses on sale now. Many Savage Worlds products from Pinnacle Entertainment Group are 10% and 25% off. Get 25% OFF Now at the Precis Intermedia Store! BLACK FRIDAY UNDER $10 SALE: For Thursday and Friday only, all Small Niche Games print products are priced to move. All SNG printed adventures are priced at $4.95. This is a great chance to pick up critically acclaimed modules such as Blood Moon Rising, the Inn of Lost Heroes, and the Shrine of St. Aleena, as well as many others. All other SNG printed products are priced under $10. 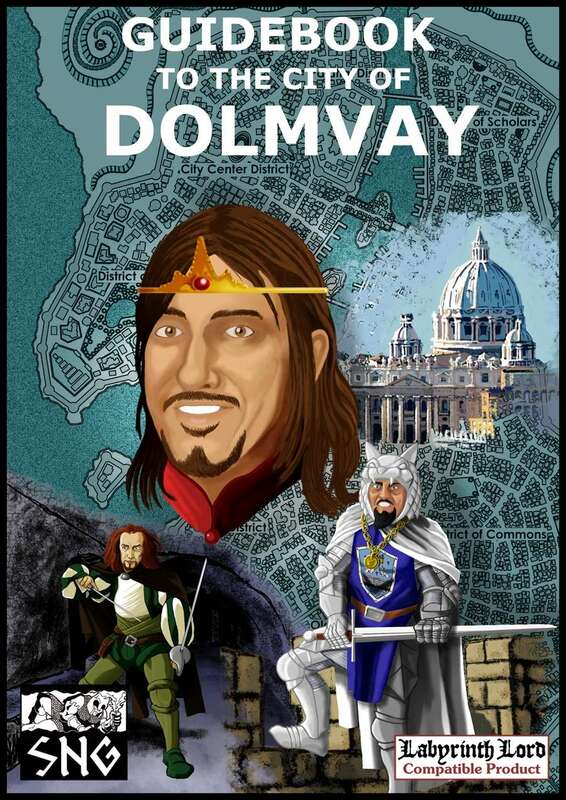 This includes the Chronicles of Amherth campaign setting, the Ghoul Keep and the Ghoul Lands sourcebook, and the Guidebook to the City of Dolmvay campaign sourcebook. Sale ends Friday evening, so don't miss out! Happy Caturday! Wait, It's Turkey Day? Damn! Yep, it's Thanksgiving Day here in the States, which means way too much food to be eaten later. Woot! Followed up by turkey driven coma. Fun times. In between the two I will be updating with more Black Fridays Sales posts and the every expanding bag of OSR Christmas Gifting Goodness. Frog God Games is offering 25% off everything on the Frog God Games website until Sunday at Midnight. Use the code BLACKFRIDAY14 and tell them Tenkar sent ya! And if you have a mind for it, they are offering grab bags for $100 that will include $300 minimum of retail RPG madness ($150 if you want some goodies from Bill's private collection.) I'm in for $110 including shipping. I expect some items will make the tail end of the OSR Christmas giveaway. I truly like Basic Fantasy. While not quite a clone, i can run adventures from Basic D&D to 3x to the various clones and the editions in between with minor conversions (if any) on the fly. The price is certainly right, as the PDF for the core game and all the adventures and supplements are free and the print versions are at cost. 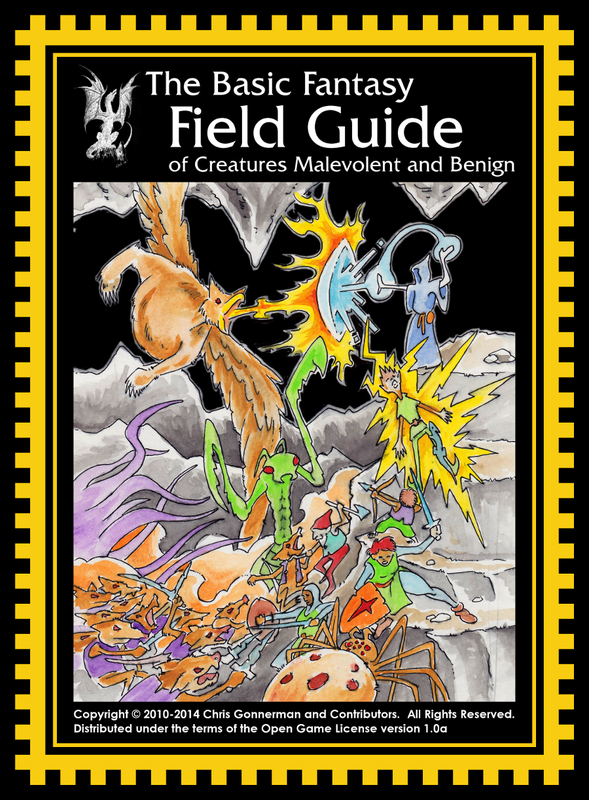 The 3rd edition of the Basic Fantasy rules just released as well as the Basic Fantasy Field Guide, which is a monster book with over 180 creatures for your BFRPG game or any other OSR or old school RPG. 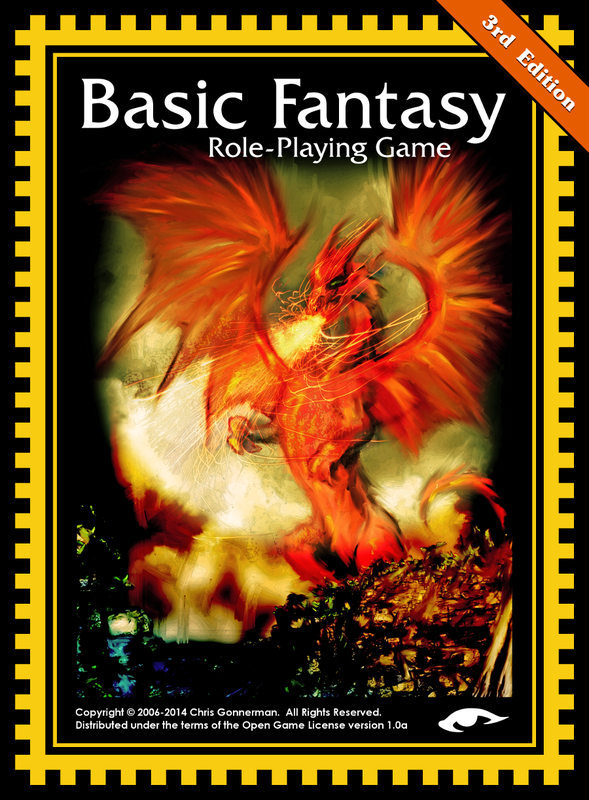 Basic Fantasy 3e is currently $4.18 in print at Amazon and the Basic Fantasy Field Guide is currently $3.61. Amazon prices can swing a bit in either direction. Both ship Prime if you have Prime. They should also be available on Lulu. Engine Publishing is discounting all of their GM aid releases by 25% for the Black Friday festivities. The Complete Vivimancer is $3 off in print or PDF for the duration of the sale. We have a few more donors to add to the ever growing list. If you are looking to donate, Tuesday, December 2nd, will be your last chance to get in on the list of goodie giving. Before we get to the list of gifts, the question has come up regarding The Tavern's international readers and their eligibility to get in on the gift receiving. Obviously, PDF gifting is international. In Print or physical product gifting is up to the gifter - shipping cost, and international shipping from the stats cost a pretty penny. I wish it weren't so, but it is. When in print gifts are up for grabs I will indicate whether internal shipping is included. 30% off all DCC RPG, 5E, Xcrawl, and Age of Cthulhu titles. And a few "even better deals" are 50% off, including the DCC RPG core rulebook, and DCC #68: People of the Pit, #69: The Emerald Enchanter, and #70: Jewels of the Carnifex! 40% off all 3E products. This includes our huge library of third edition Dungeon Crawl Classics modules, plus the Complete Guide monster books, DragonMech, and more. 50% off all system-neutral products, including the fan favorites GM Gems, Dungeon Alphabet, and the Points of Light series. 60%-70% off all 4E titles and everything else. The response to the OSR Christmas 2014 festivities has been amazing and the post hasn't even been up for 12 hrs. 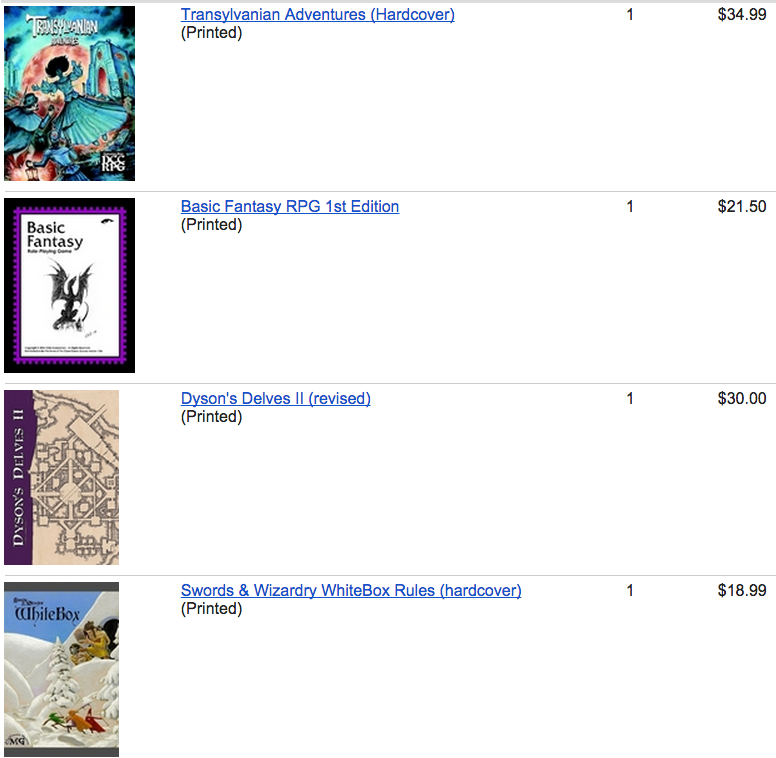 If I've learned an important lesson for running the OSR Christmas in 2014, it's this - trying to act as a central repository / clearinghouse for the gifting of physical product isn't just a nightmare, but shipping is expensive yo! I also have a much fuller plate this year (and still need to wrap things up from earlier this year) so, if we do an OSR Christmas for 2014, the changes will be minor but substantial. 1 - The only stuff I'm shipping is stuff from my collection. 3 - PDF gift codes would preferably go from gift-er to gift-ee, but I'm willing to play middle man if needed. 4 - I'd like to do 12 days of gifting, starting December 1st and ending December 23. Yes, alternate days. I'm striving for some sanity here. 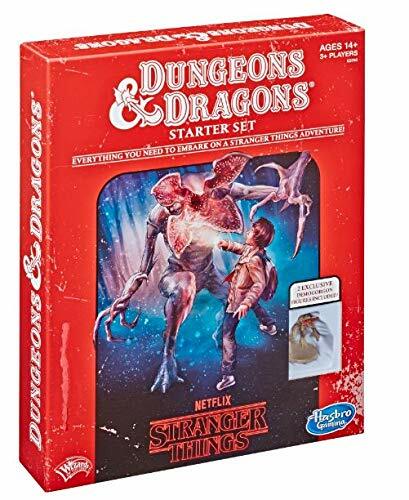 If you want to get in on the gift giving, drop me a line at tenkarsDOTtavernATgmailDOTcom with "OSR Christmas" in the subject and we'll work out the details. Those gifting will get free plugs of their blog / company / pet pics / whatever. First things first - I don't do RPGNet. Too much drama. Too many bans. Big Purple ain't for me. Gareth doesn't want folks reposting Far West backer only updates, because somehow that is an attempt to get around his lifetime ban at the Palace of Ill Repute. I don't get that. I've also gotten a couple questions about the art process -- including some criticism from some corners of the internet about "putting photoshop filters on photos" -- so I figured I'd take the time here to let you know how the art style for FAR WEST has always worked, whether it was me or Rick Hershey behind the pen. We use source images (public domain film stills, photos of backers sent in by you guys, stock photos, my own sourced photos from trips to Dodge City, Durango Colorado, and more) to create an original digital collage, which is then used as the reference for a new illustration. The works are then done by hand (in my case, using -- depending on whether I'm doing the work on my laptop or my desktop -- either a Wacom Bamboo or a Yiynova MSP19U pen tablet monitor). Awesome - so Rich was just better at the whole "photoshop to a fake piece of art" type of deal. I'm glad it's only used as a "reference", because if it were taken lock, stock and barrel, that would be embarrassing. Kinda like saying you only used the real 20 dollar bill to make your counterfeit - it was only used for reference. edit: I'm guessing "Musa the Warrior" is still under copyright. 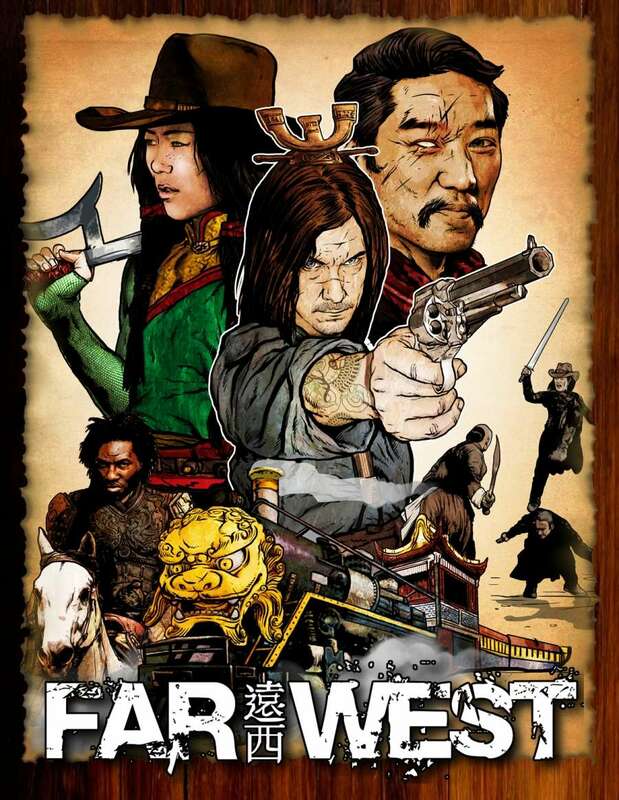 Far West will be completed in digital form by Christmas - or not. You know what? I was real excited when I backed this over three years ago, back when there was an actual artist doing the art, not Gareth and his photoshop skills. The above example of the opposite of quality art was completed at least by last September, as it was shown in an update. I'm posting it here to share the laughter with my readers. Yes, this is why I supported the project at a premium, and I'll get to enjoy my very own print of it. Obviously it's NOT a piece of Rich Hersey art. Why is my face orange and my hands are red? Really, WTF is up with that? Any "Black Friday" Sales From Our Favorite OSR Publishers? I'm trying to get a list together of any possible RPG sales for the "Black Friday" weekend, which I guess starts on Wednesday these days. I've been told of one so far. I expect there are others, either going on now or starting shortly. 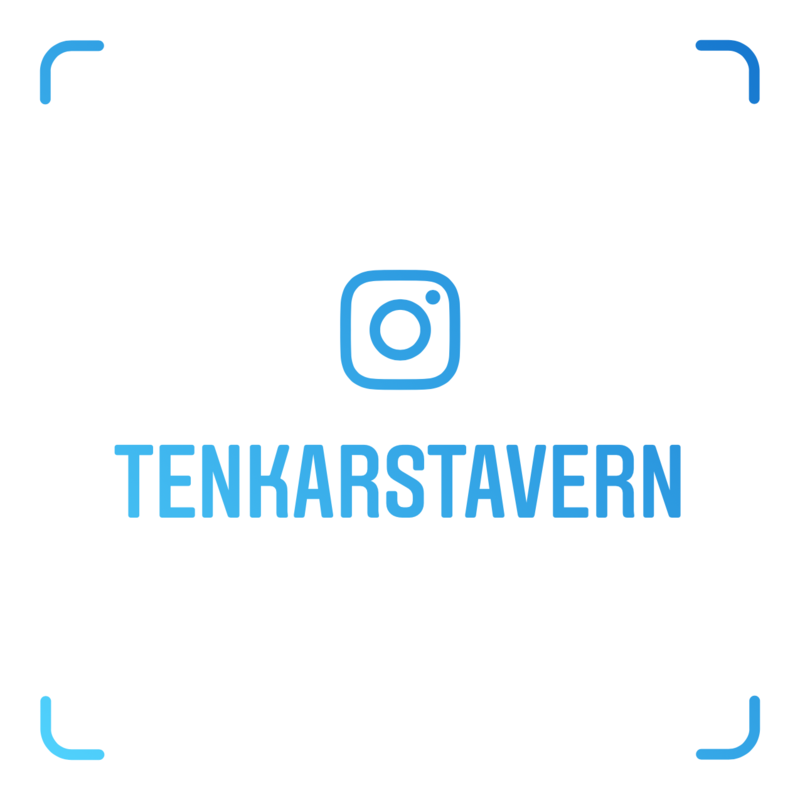 So, if you know of some upcoming sales (or are a publisher that plans a sale) drop me a line at tenkarsDOTtavern at that gmail thing. I should have gotten to this post yesterday, but shopping, pubbing, napping and gaming took up way too much time. 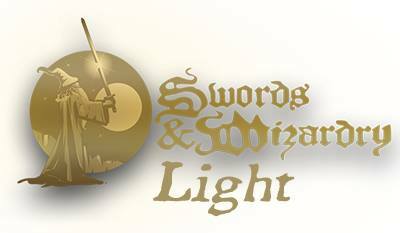 You can read the latest on the Swords & Wizardry Compatible Logo Design Contest below. It was originally posted at Gamers & Grognards. They are offering some loot, not just for the design that is picked but the runners up too. Hey everyone. 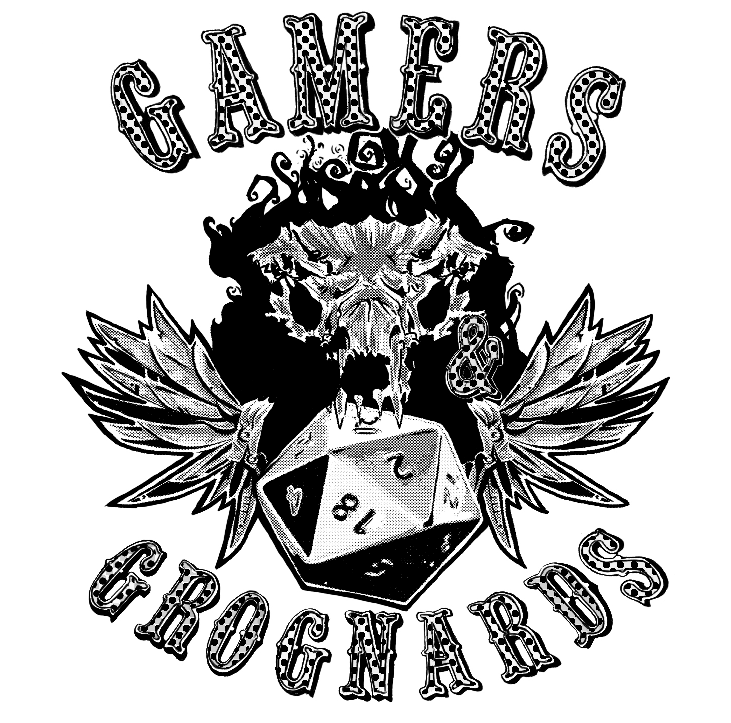 Some of you are likely already in the know that the artist that designed the Gamers & Grognards logo and I are going to be creating a "Swords & Wizardry Compatible" creative commons logo that you can slap on the stuff that you make/sell for S&W. I've already thrown my idea at him. That said, I thought we could have a little fun. That said, the idea I like the best, whether we use it or not, will win a prize. What is this prize you ask? I have in my possession for the Gamers & Grognards Old School ebay store, a set of mixed Windmill Hobbies sharp edged dice from the 1970s. These babies are brand new, last made in 1979. Like all good dice, you have to ink them yourself. The set is 5 dice 1d20 (marked 0-9 twice, 1d12, 1d8, 1d6, and 1d4 plus an extra d20 and d12 in mixed colors (think of them as Ugly Dice.) These are yours if I like your idea the best. 1st place - 8 pc set of out of production Windmill Hobbies dice, Pacesetter Games & Simulations modules: TM4 - Legacy of the Forbidden City and Q1 - The Screaming Temple. 1. An description of an image. Must be something that will be recognizable in a small image (think of the Wizard on the S&W Complete logo or the Old Lizard and Wizard on the 70's TSR logos.) I only want descriptions or very rough sketches, as +Christopher Arendt will be doing the actually design. 2. A font and layout for the words "Swords & Wizardry Compatible." You can just list the font and describe the layout, if you don't care to make it into a sample copy. 3. Send this off to me at treewytch_at_yahoo_dot_com. Please list "Swords & Wizardry Logo Design Contest" as the subject if you want me to look at it. Both the image and layout should in some way reflect that this is compatible with Swords & Wizardry and OD&D. That's it. The contest will end one week from today on Thursday, November 27 2014 (that's Thanksgiving day for all of the U.S. Citizens out there.) Get it in, I intend to start judging when I get back from my Thanksgiving dinner. Good Luck and Fight On!